You’re on a babymoon holiday in Vanuatu—and you go into labour early. Where will you go to have the baby? Do you know which healthcare facilities are equipped and staffed for child birth? Until recently, such information wasn’t readily available—not for locals, healthcare professionals, or the countries themselves. Now, the free app and website Tupaia provides comprehensive supply chain information on healthcare facilities in the Asia Pacific. Beyond Essential Systems provides healthcare consulting in developing countries, with a focus on procurement, distribution, and pharmaceutical consulting. In 2017, co-founder Michael Nunan managed the development of Tupaia—health resource and supply chain mapping for the Asia-Pacific region. Tupaia is a two-part offering. Firstly, there’s the app which is used for data collection. Beyond Essential Systems managed the baseline assessments of roughly 890 facilities in the Asia-Pacific last year. They collected information on medicines stocked, staff capabilities, number of patient beds, access to clean water, to name a few. Second, there is the tupaia.org platform, which aggregates the collected data and displays it for everyone to view. The platform aims to give a bird’s eye view of how clinics, health centres, and hospitals are all performing, so countries can target their resources to the weaker facilities and learn from the strong. This information is invaluable for external teams, such as aid workers, to identify the level of care usually provided by the facility. Michael has worked in overseas development for years, like most of the team at Beyond Essential Systems. 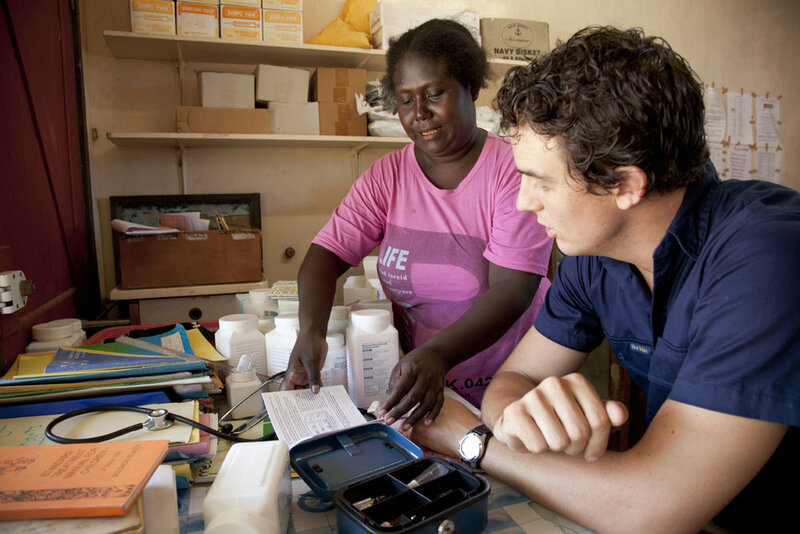 Their experience in healthcare in developing countries identified the gap that Tupaia now fills. The biggest challenge is ensuring the data continues to be updated. Local staff members can keep the listing updated if they have a smartphone. Tupaia is designed to be functional, even on low-tech devices. Otherwise, other health programs or the pharmacy division will need to maintain it. A project in the Solomon Islands focused on the usage of zinc sulfate, which is used in children under five with diarrhoea. Treating diarrhoea with zinc sulfate reduces both the severity of the disease and the chances of it recurring. “Diarrhoea is the number two killer of kids under five,” Michael says. Over the course of his research of a couple of years, he raised awareness of this simple treatment using posters and patient cards, while also increasing the procurement of zinc sulfate. In that time, the usage of zinc sulfate in kids under five with diarrhoea went from 13% to 75%. To simplify, this statistic shows that roughly 75% of clinics are using zinc sulfate as treatment, while 25% aren’t using it. Tupaia can now be used to target these weaker clinics. “There’s a big push in the global health supply chain world to overlay Logistics Management Information Systems with Health Management Information Systems,” Michael says. “Overlaying those two sets of data is actually quite hard. You need two different pieces of software to manage those two things. A health management system can’t manage logistics, and vice versa. “For example, you want to overlay the number of cases of diarrhoea that you’re having with the amount of zinc sulfate that you’re using. And until you can do that, both of those pieces of information in isolation is not actually that useful. Do you know anyone working in a developing country in the Asia Pacific? Refer them to tupai.org.